CHI Memorial Foundation and the Hunter Museum of American Art are co-presenting the 17th annual Cam Busch Endowed Arts for Health Lecture Series. This year’s event will be Thursday, May 18, 5 p.m. at the Hunter Museum of American Art. 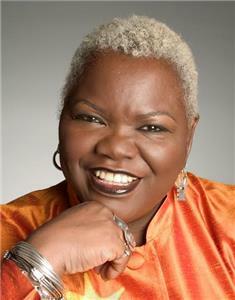 Dr. Ysaye Barnwell will return as this year’s guest performer/speaker. Her first appearance in 2010 was one of the lecture series’ most popular performances, said officials. Dr. Barnwell is an accomplished musician, actress and author. She is a retired member of Sweet Honey in the Rock, an internationally acclaimed, award-winning female African-American a cappella group. She is a master teacher and choral clinician in African American cultural performance and has been a commissioned composer on numerous choral, film, video, dance and theatrical productions. She has appeared in and provided voice-over narration for film, video and radio productions. Dr. Barnwell is also the author of several children’s books including one on traditional African American stories, poems and songs. In addition to the undergraduate and graduate degrees she earned in speech pathology and public health, Dr. Barnwell has been awarded multiple Doctor of Humane Letters honorary degrees. She received a humanitarian award from the Washington Choral Arts Society and Washington Performing Arts Society, and has received two awards for her children’s books. CHI Memorial’s Arts Medicine Program is a component in the region’s arts community. The following organizations join as Arts Partners to bring Dr. Barnwell’s message at Chattanooga: ArtsBuild, AVA (Association for Visual Arts), Barking Legs Theater, Bessie Smith Cultural Center, Chattanooga Ballet, Chattanooga Symphony & Opera, Chattanooga Theatre Centre, Hart Gallery, Sculpture Fields, Southern Lit Alliance and WTCI. Individual tickets are $50 and include heavy hors d’oeuvres, a host bar, a performance by Dr. Ysaye Barnwell, and admission to the Hunter Museum of American Art. For more information and to purchase tickets, call the CHI Memorial Foundation office at 495-4141 or visit www.memorial.org/art-lecture.